So I'm gonna be a father, like my father was, and his father before him. Must be hereditary. It's nine weeks since cells started dividing and we haven't told everyone yet, just close family and friends, so this is just between you and me, internet. I saw a TV show about babies once. They're easy right? Just put food in one end and keep the other end clean, right? And for the first year it'll get free food from boobies, so despite the baby's sardine breath it won't cost anything... right? We suspect it will be a boy. Don't ask me why but Q has a sixth sense about these things. So I'll have to teach him (or her) how to be a man. Only problem is that I have to find out what that actually is first. My own Dad never bothered to tell me. 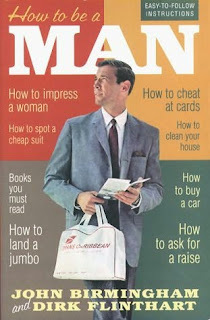 Luckily I have a book called "How to be a Man" by John Birmingham and Dirk Flinthart. It's full of useful tips for confused blokes such as what constitutes a decent suit, how to impress women by pretending you like cooking, how to show an interest in cars and how to give women orgasms (did you know they can have them too!). The book is going to be a good dad. Any other tips are welcome. If anyone can tell me if it's cruel to call a kid Yoda McMuffin, and if you can sell them on Ebay to help get the bank off our back, I'd be ever so grateful. Congratubloodylations! Don't tell a soul until after 12 weeks. Trust me on that. Hot tips: Stay in bed as long as you can. That all ends come B'Day! Well until they're 16 then you have to drag them out of bed kicking and screaming. and if the subjects covered in that book are anything to go by, you're going to be the coolest dad going. who doesn't want a dad who knows how to land a jumbo, hey? Baino-We've told the oldies, siblings and the besties, under strict orders to keep it secret. The ultrasound lady said we'd be pretty safe after 8 weeks, but on our doctors advice we kind of now wish we waited till 12 weeks, Q fears we've jinxed ourselves. I've adopted the 'she'll be right' approach. I figure there's nothing else we should do except be optimistic. It's strange but I feel comfortable telling my blog friends. I feel I can tell you things I wouldn't share with my face-to-face people. I think there's a nice security in anonymity. Ms P-How to land a jumbo jet is a fascinating chapter. Hopefully I'll never need to use it. We started telling people (my parents, brothers and boss) at five weeks because we were so utterly surprised (in a good way) that sharing it gave it some reality. Well done to you, Pub Daddy (the name has new connations now) and to your beloved Q. Tell her to make the most of being able to walk around with completely relaxed stomach muscles - the only time in her life she can let it all hang out and blame it on the baby! Thanks Kath. You're a real gem. jeebusgod...you lot are good with the secrets - i told anyone with ears as SOON as i found out i was pregnant! and both times were absolutely fine - no jinxes! now then, let's get to the important bit. names. That Pub Daddy thing was obviously quite the magic! How excitement! What everyone else said - CONGRATULATIONS! - big, big, big ones. 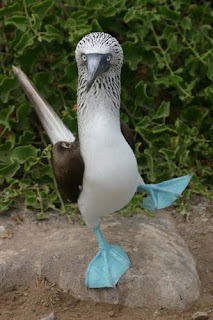 And don't discount all the new blog material a little fella round the house will bring you! And a pregnant wife, for that matter. So much pregnancy going on at the moment, it's bloody rife!